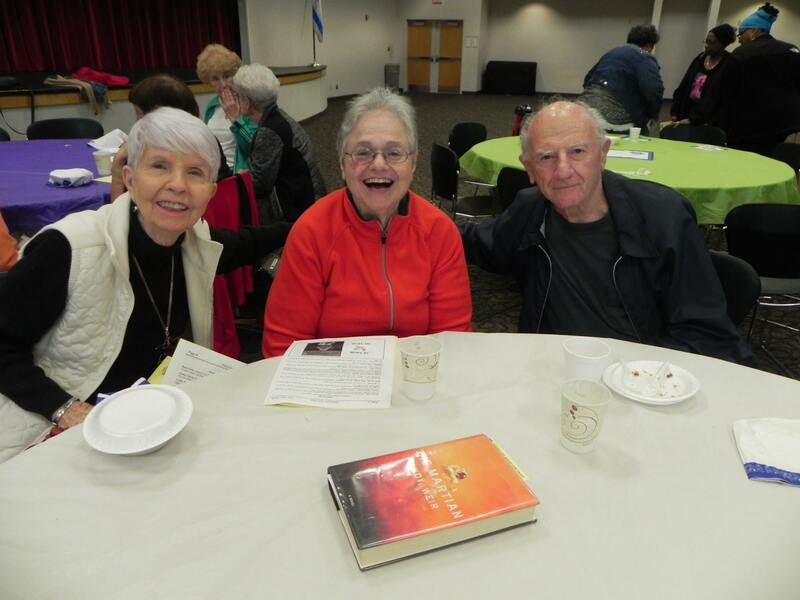 Senior Services | Jewish Federation of Greater Indianapolis, Inc.
Jewish Family Services at The Reuben Center (JFS) offers a range of services and resources to support and assist individuals aged 60 and above and their families as they adapt to the aging process. These available services are designed to enable seniors to continue living independently at home, addressing the current trend and desire for older adults to age in place. Each situation is addressed in a professional and confidential manner and with respect for the individuality and independence of each person. Whenever possible, both the client and family are involved in deciding upon the best care options. Although services are provided by Jewish agencies dedicated to the needs of the Jewish elderly, all services are available to persons of any religion, race, nationality, ethnic group and income level. Contact us today at 317-259-6822. Join the Libby & David Fogle Lunch Bunch Tuesdays and Thursdays at noon at the JCC for great food and conversation with friends. These well-balanced lunches are available to anyone over the age of 60 for only $3. You don't need a daily reservation, but some special events require a "heads-up" so we can plan accordingly. The meals are subsidized through CICOA, Aging and In-Home Solutions. Check out the April lunch menus and calendar of events. Learn about various resources available in the community, upcoming events, opportunities to get involved with different clubs, and all sorts of interesting tidbits and articles relevant to your community. Check out the Senior Scribe each quarter, and stay in the know! The Reuben Center Seniors in Place is a program for seniors to enjoy social and cultural programming throughout the year. Contact Janet Stillerman for reservations or for more information: 317-251-8881. Check out the August calendar of events. The JFS transportation opportunities are key services for older adults to maintain independence, health and well-being by offering access to medical care and the grocery store. Adults aged 60 and above may qualify. Reservations are required in advance. Rides are set up on a first-come, first-served basis, so be sure to call early to reserve your ride. Please note: our vehicles are not equipped with a wheelchair lift. Wheels to Wellness: transportation to the doctor, dentist, clinic, pharmacy or other health services. Monday-Friday, 7:30 am-2:30 pm. We recommend a $9 donation for your roundtrip ride. Lorraine Fay Linder Grocery Shopping Transportation Service: transportation to Kroger, Aldi, Meijer and/or Marsh. Mondays, 9 am-3 pm. Reservations must be made by 2 pm on the Friday prior. We are proud to partner with Freedom Senior Services to offer homemaking help for seniors in their homes on a monthly or bi-monthly basis, based on a highly subsidized, sliding fee-scale. We’re excited about this partnership because the caregivers at Freedom Senior Services provide so much more than light housekeeping, including companionship, fixing light meals, laundry and assistance with running errands. Personal Emergency Response Systems (PERS), also known as Medical Emergency Response Systems, let you call for help in an emergency by simply pushing a button. At JFS, we have secured a reduced, negotiated rate with a local provider. If you’re temporarily in need of medical equipment, we may be able to lend it to you for free. Call us for more information.